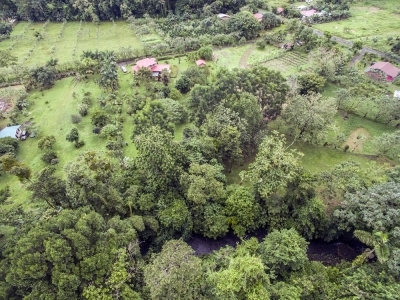 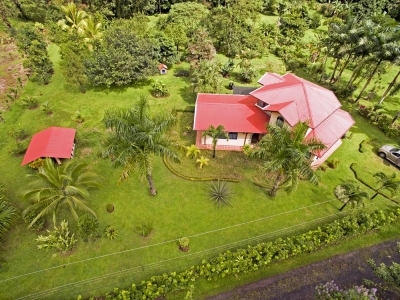 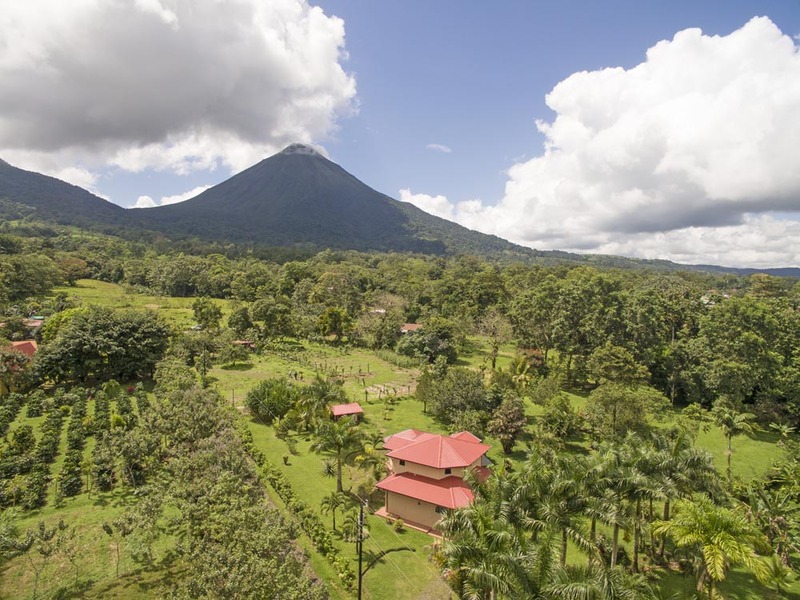 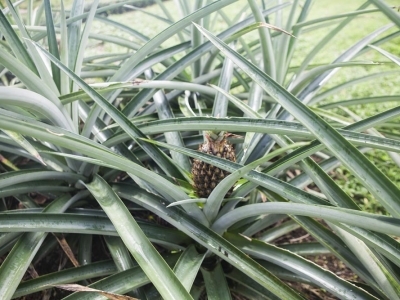 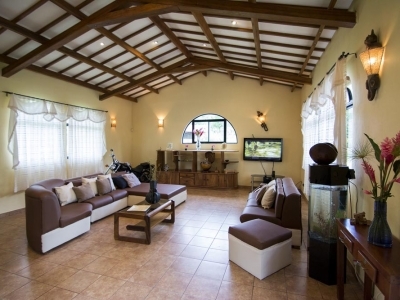 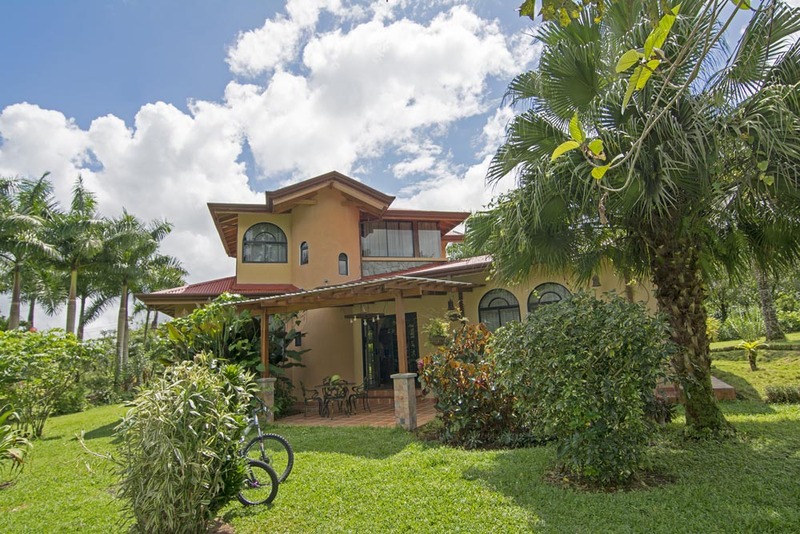 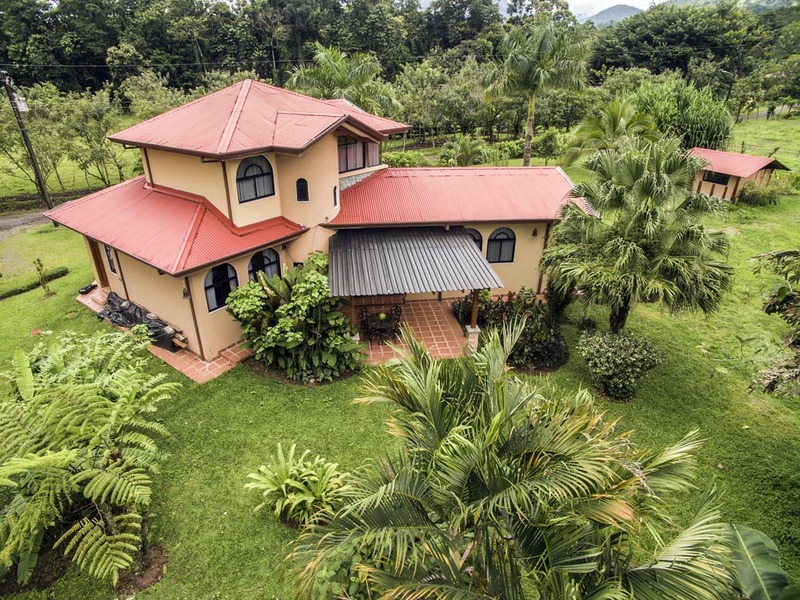 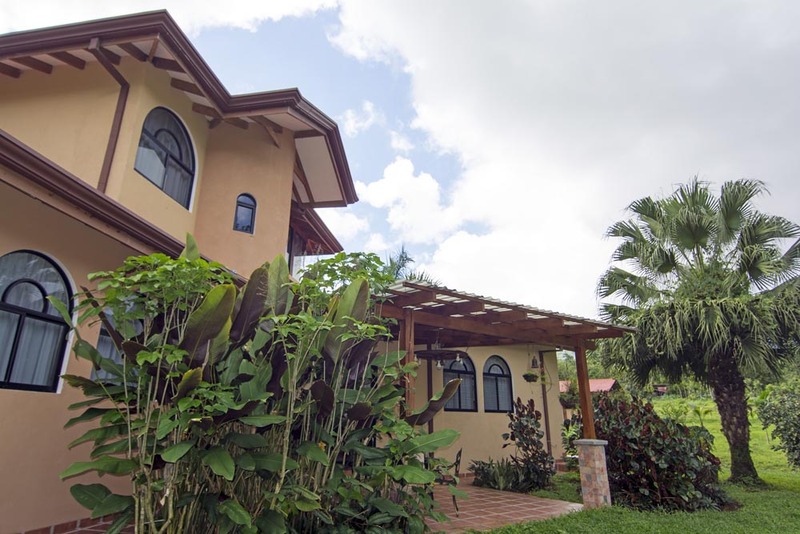 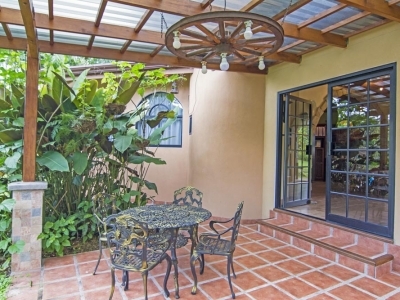 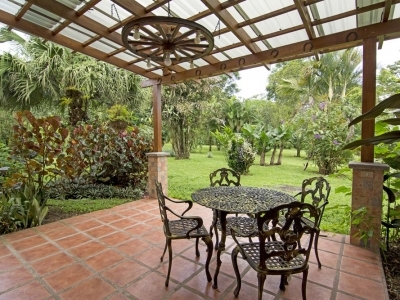 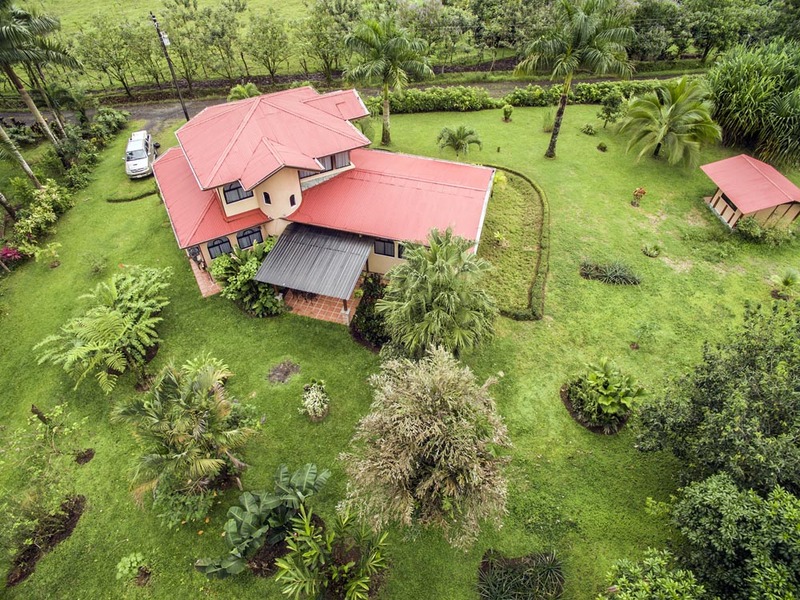 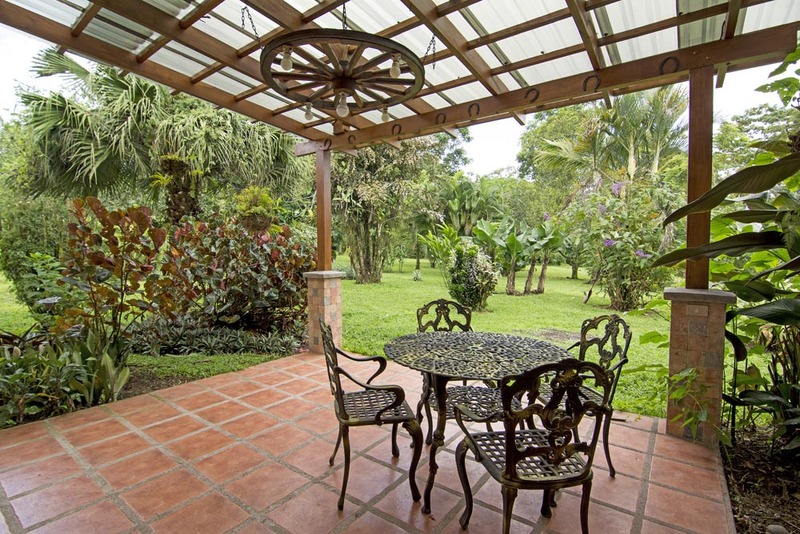 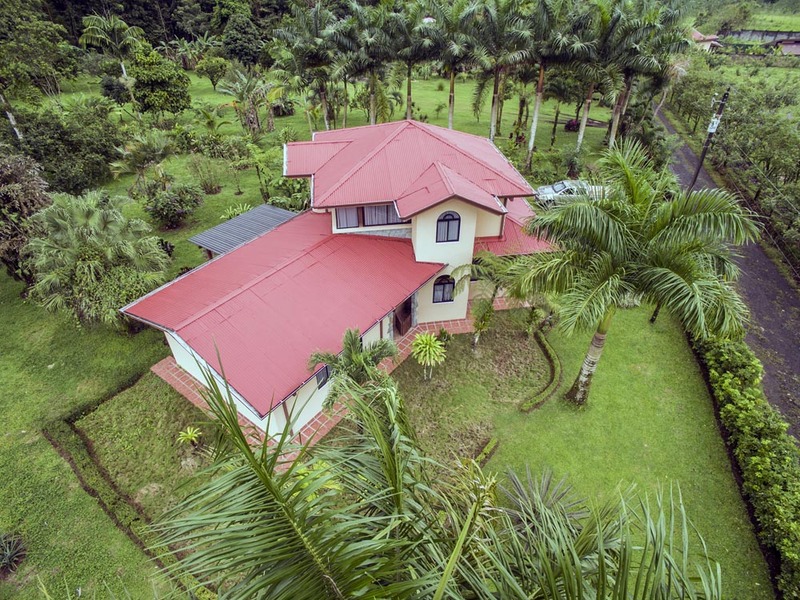 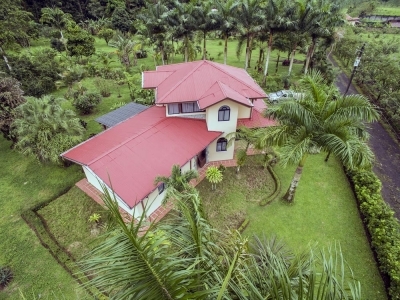 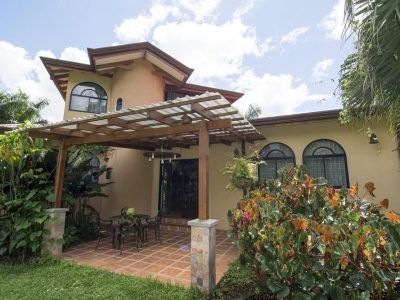 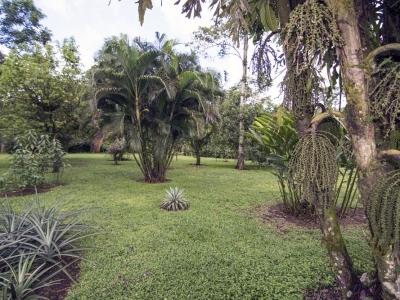 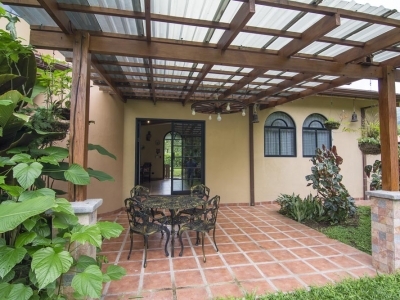 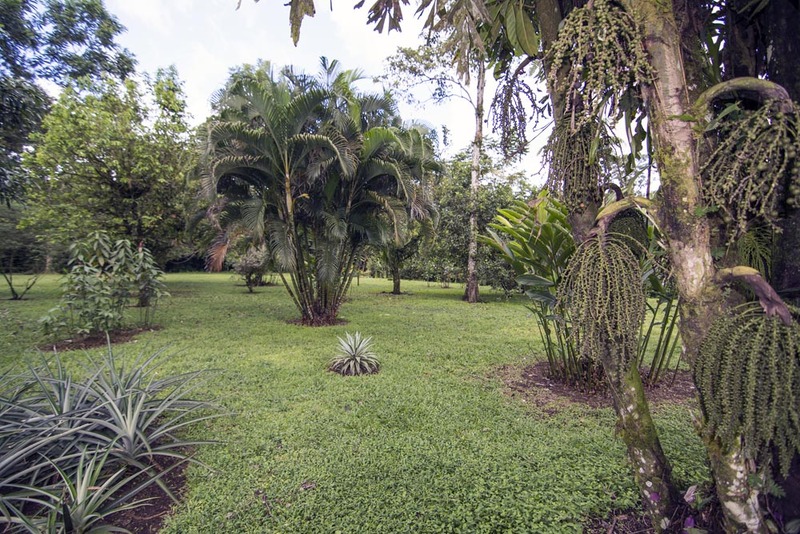 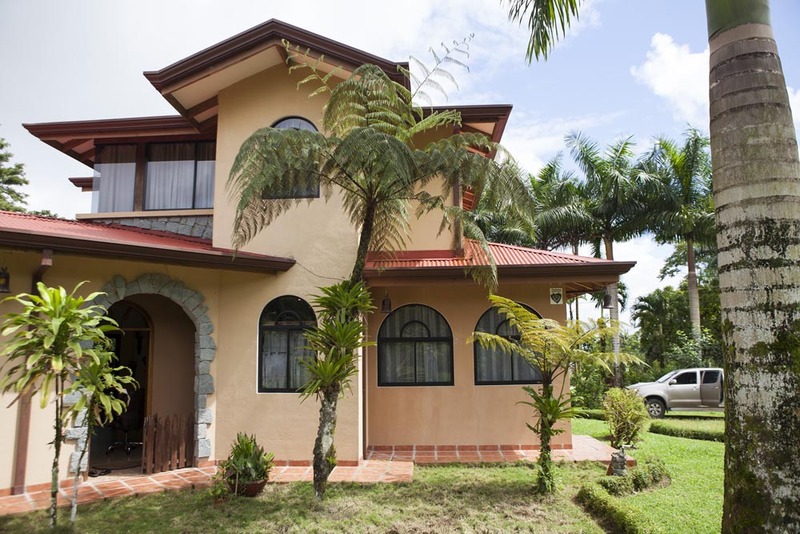 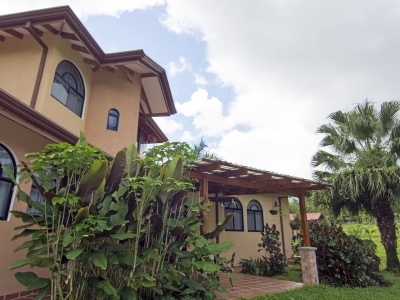 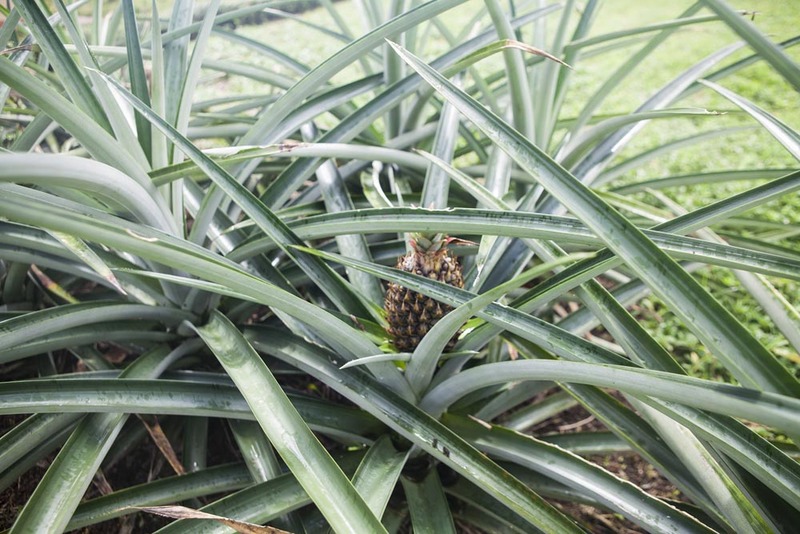 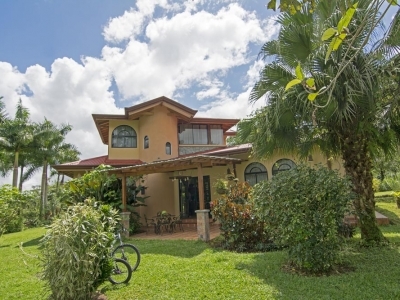 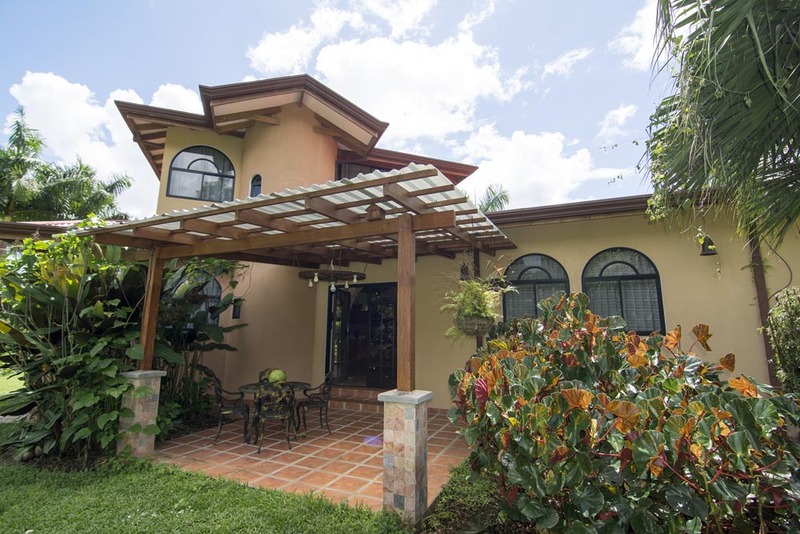 This beautiful home is located over 1,2 private acres, where you can enjoy stunning views to the Arenal Volcano. 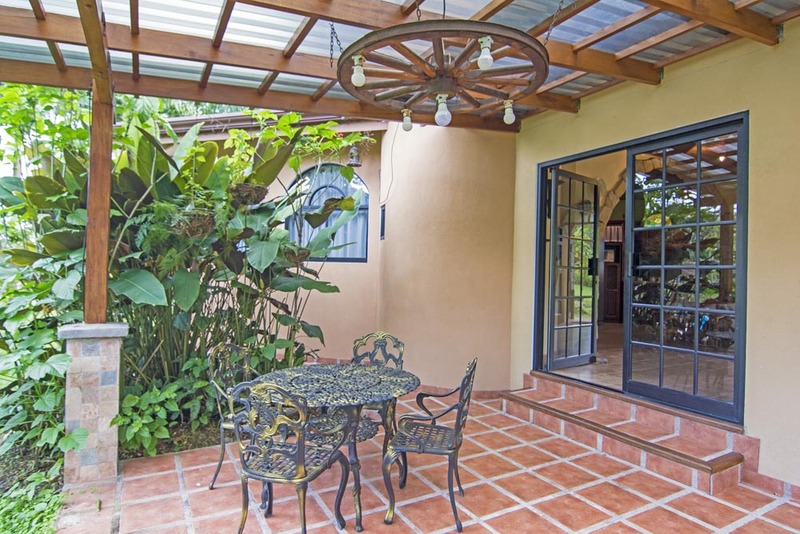 The property has an open layout that allows cool mountain breezes to flow through the home. 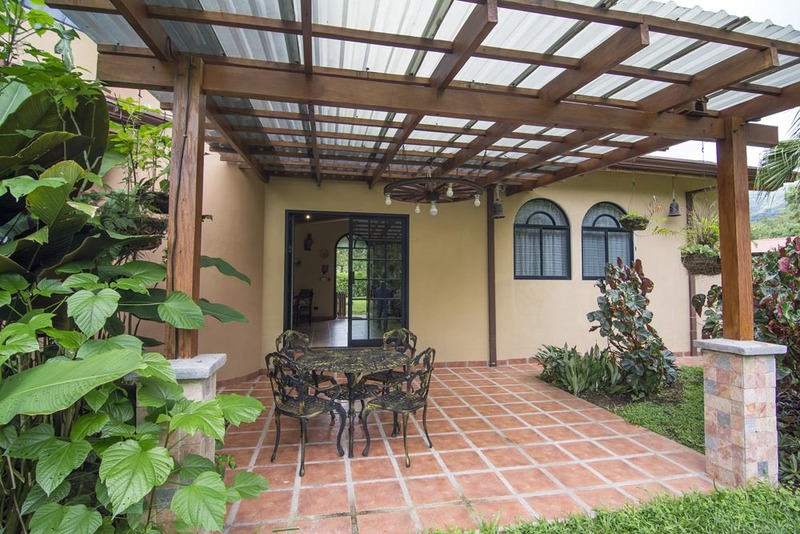 Inside the house there is a cozy environment with an open living area, three large bedrooms, and outdoor patio area, providing a beautiful indoor and outdoor space in this tranquil jungle setting. 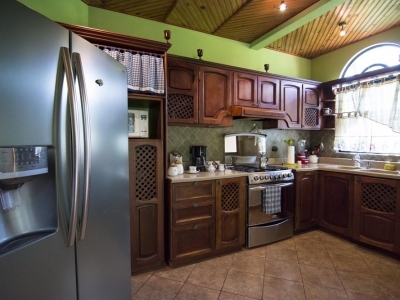 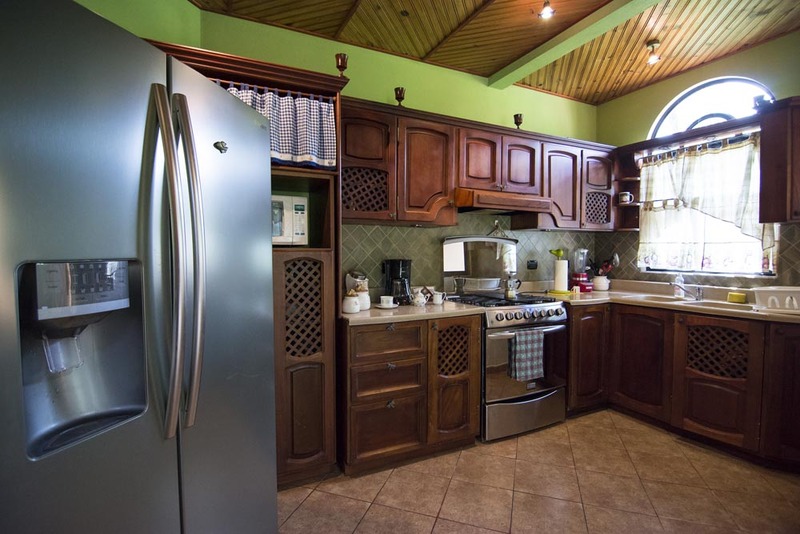 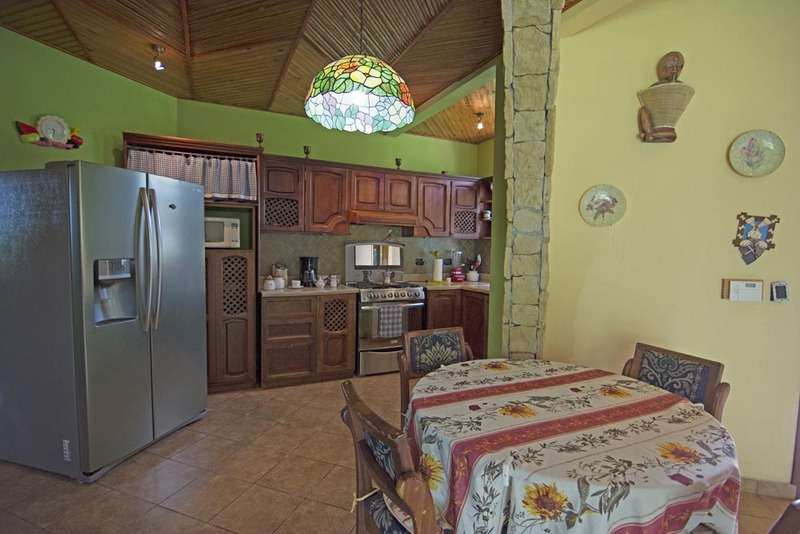 The house has a fully equipped kitchen with full size fridge, gas stove, microwave, coffee maker, toaster, etc. 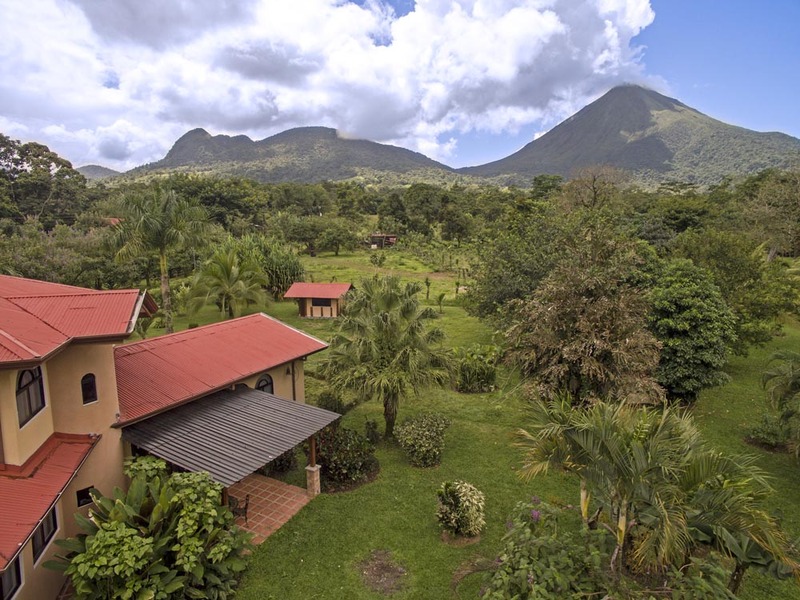 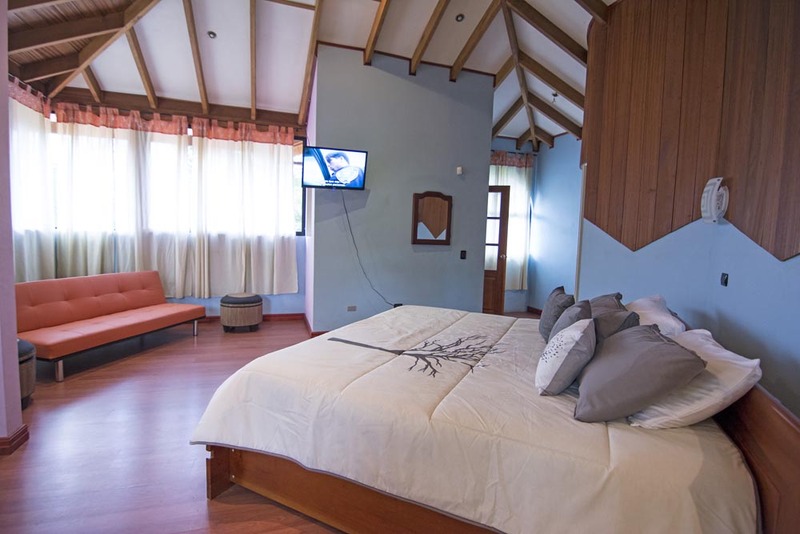 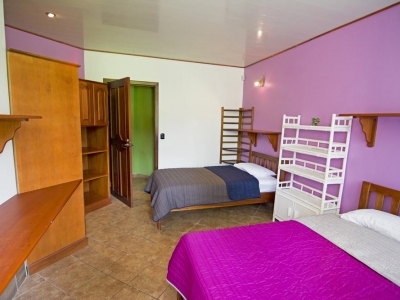 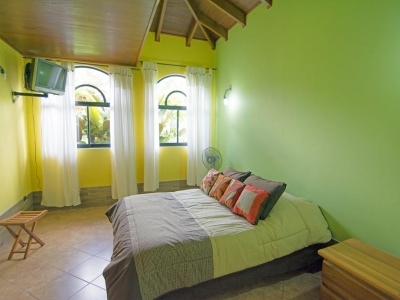 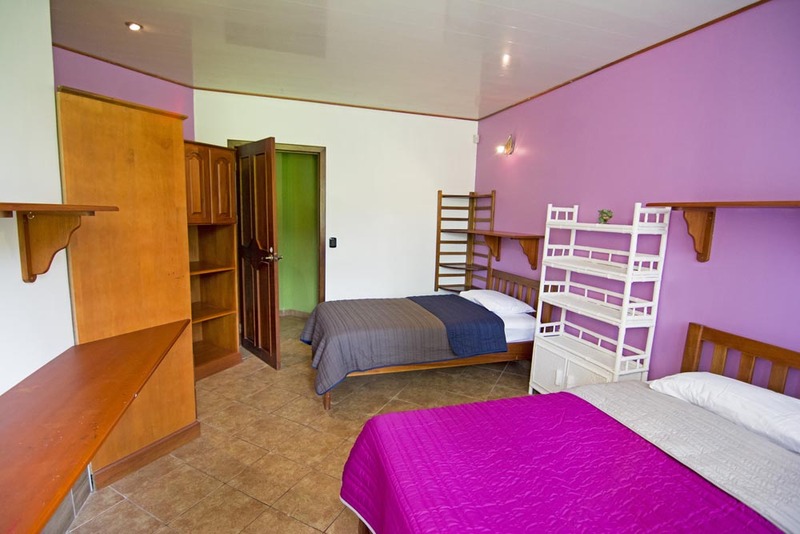 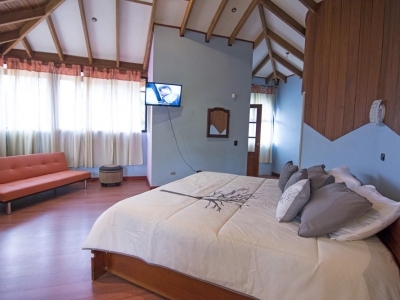 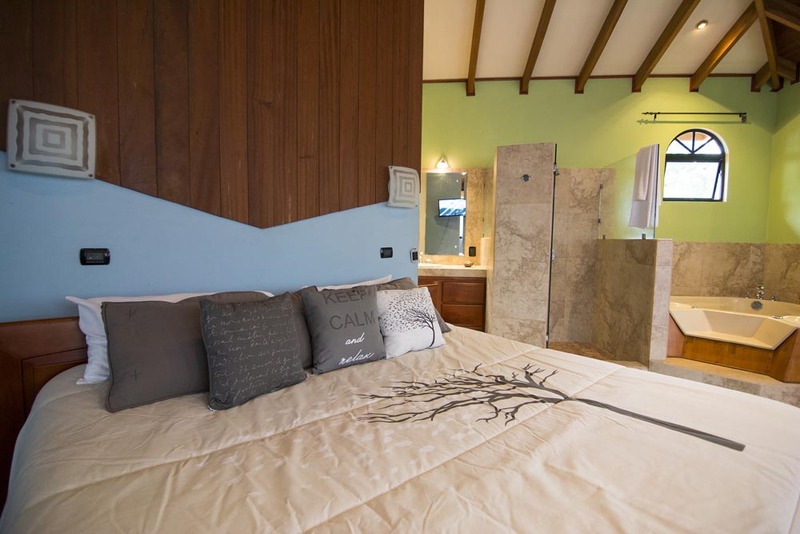 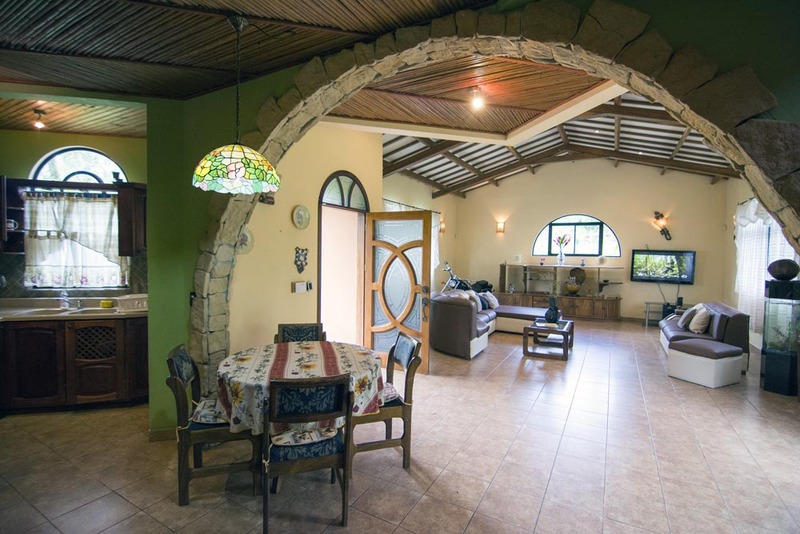 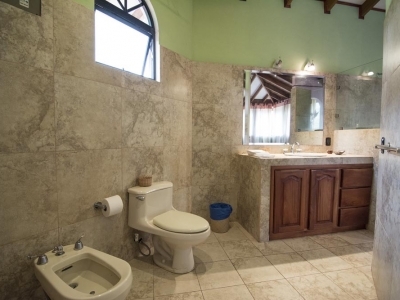 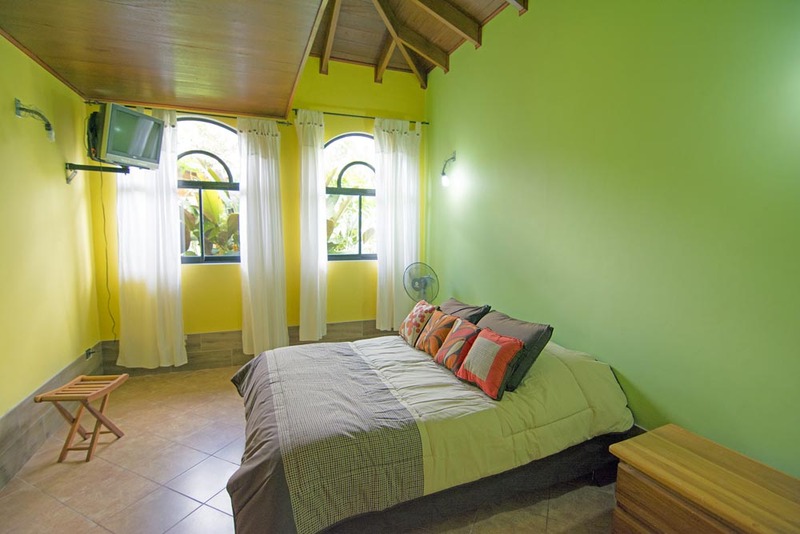 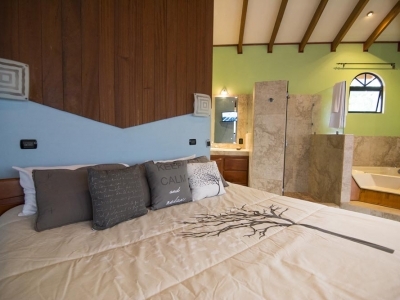 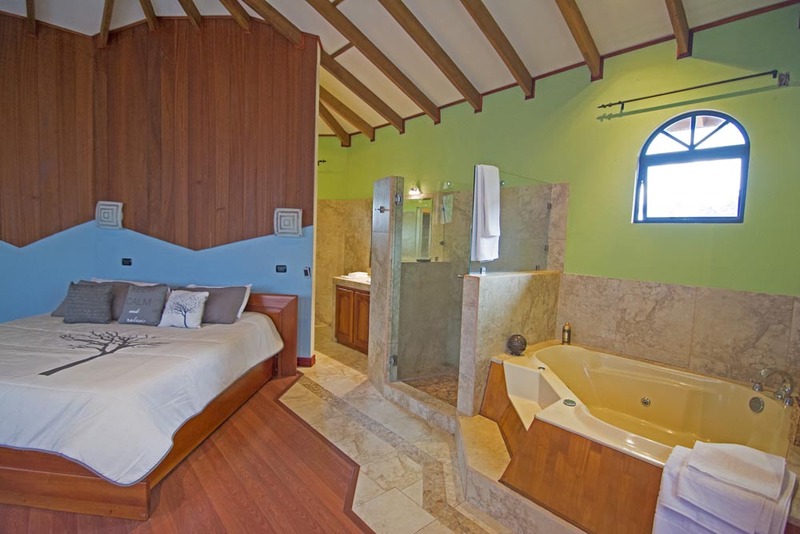 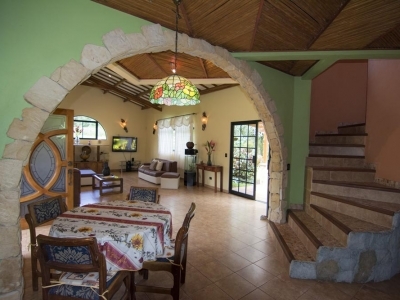 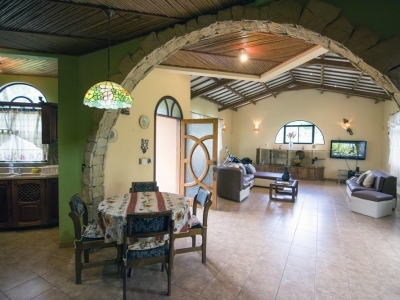 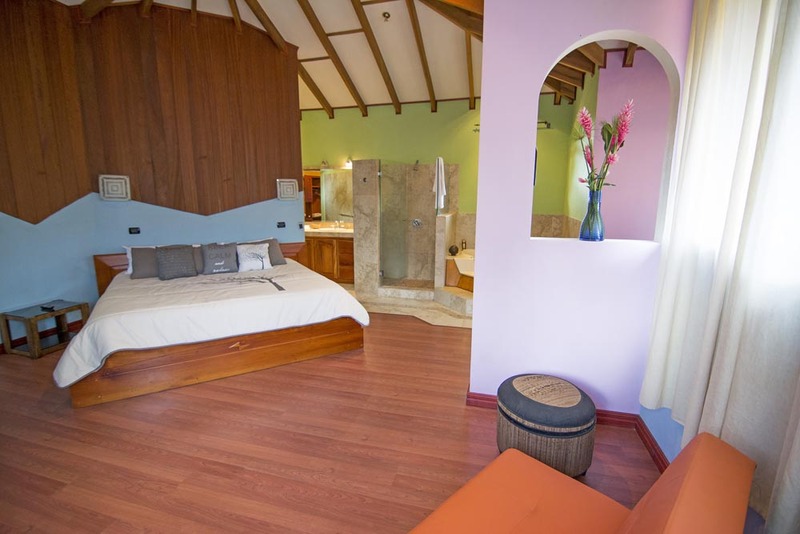 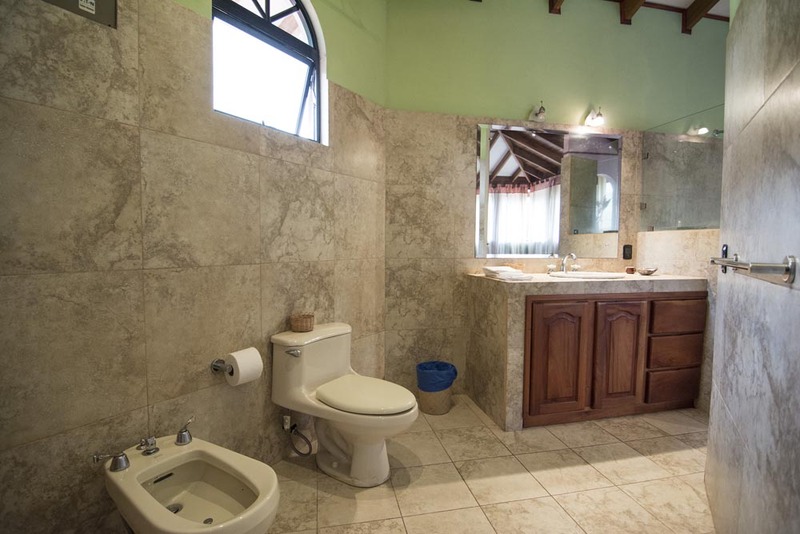 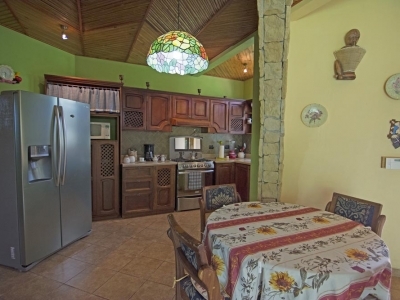 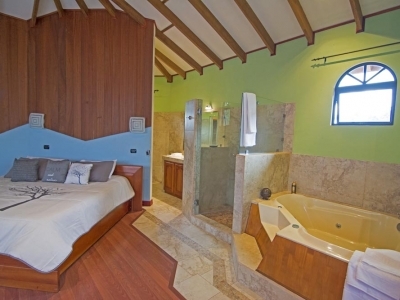 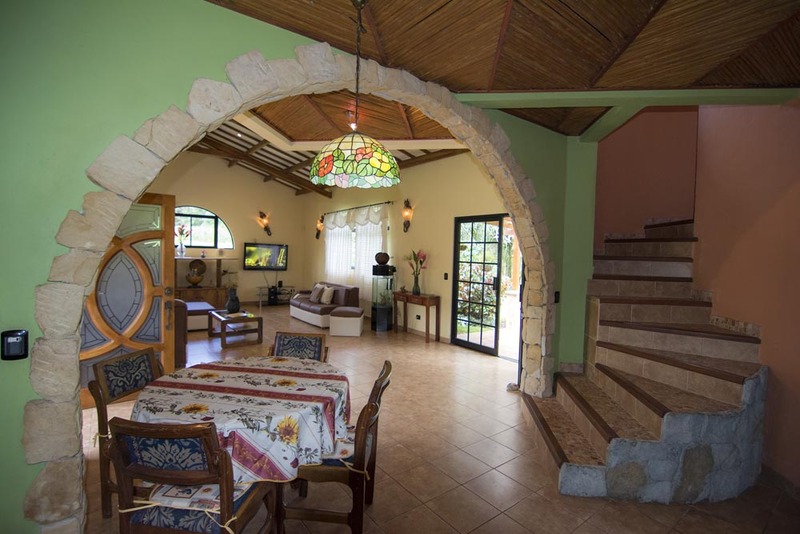 The house is built on two floors plus a guest house, on the ground floor: living, kitchen, laundry, full bath and two bedroom; on the top floor: master bedroom, from which you can appreciate the great views of majestic Arenal Volcano, large bathroom and Jacuzzi. 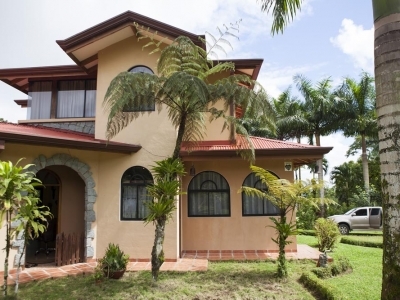 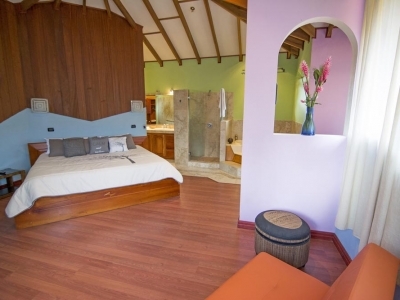 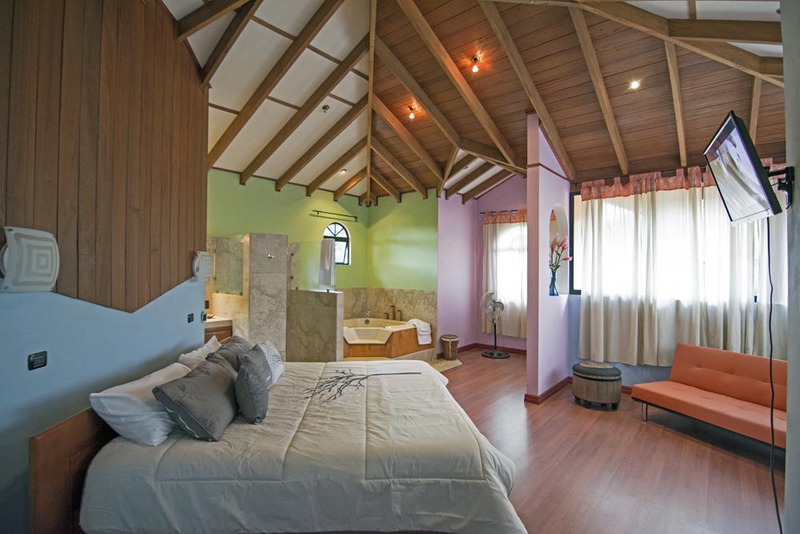 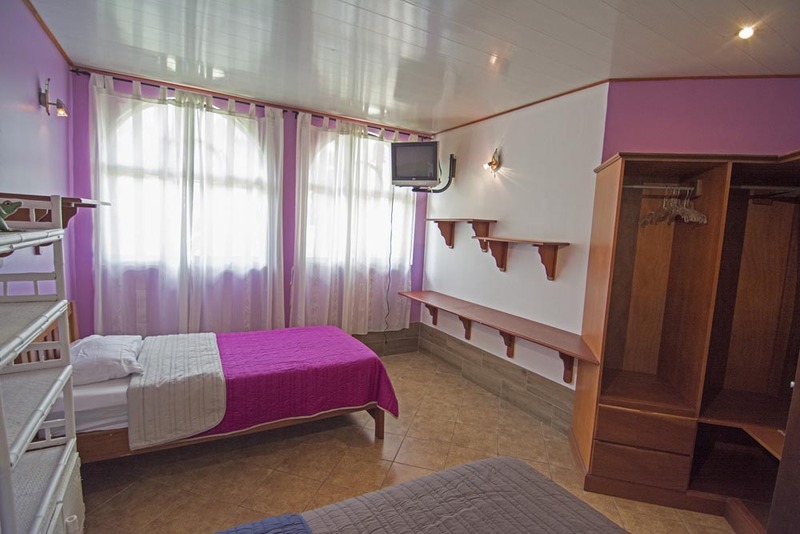 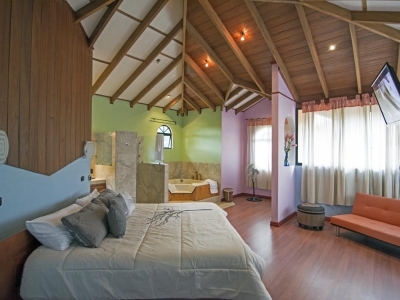 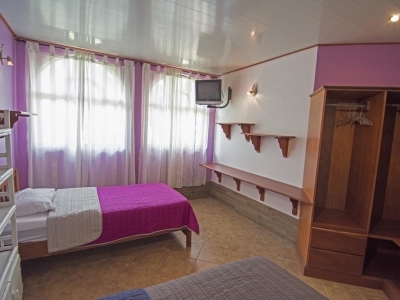 The house accommodates up to 8 persons.